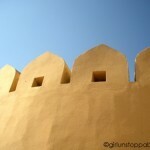 On our drive up to the Amber Fort, I had no expectations. We eventually left behind the city density for shady roads that were surrounded by more trees than people. 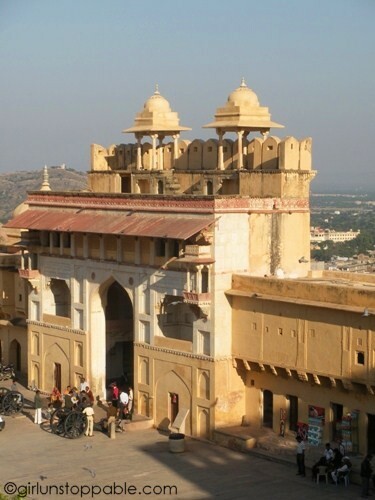 We began to see the old city wall of Jaipur, jutting out of the sides and tops of dusty hills. 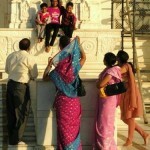 I felt a tangible presence of history and that we were about to enter an India that was different than what I’d seen thus far. 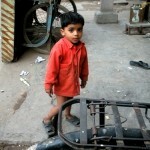 My curiosity piqued, I sat up a little straighter in my seat. 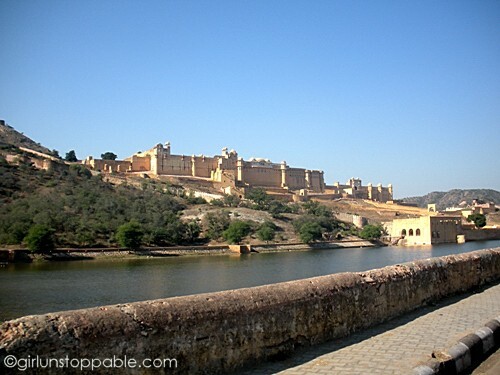 The view of Amber Fort and Palace from the road. 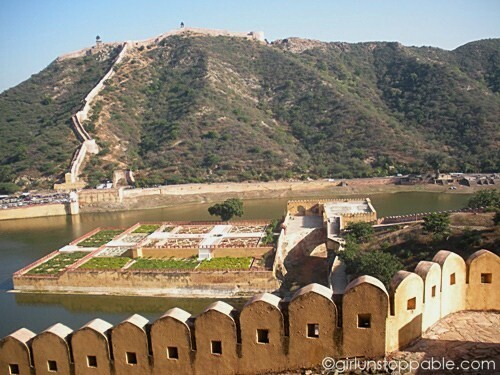 One of the many views of the seemingly endless wall that was built around old Jaipur city in 1727. A Garden in Moatha Lake. 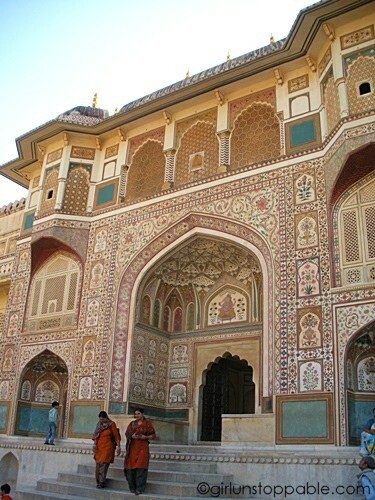 The ornate entrance to the Amber Palace. 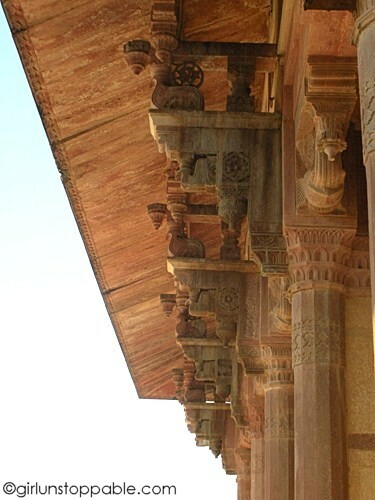 A closeup of some of the detail on the entrance. 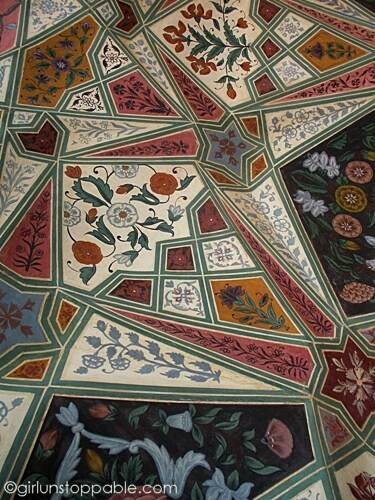 A mirrored mosaic hall in the palace. Across a garden from the hall with mirrored was a more muted white hall with pops of color. 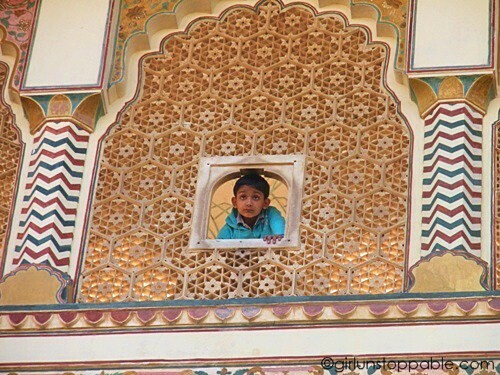 A little boy checks out the view from the top of the palace. The Hall of Public Audiences. 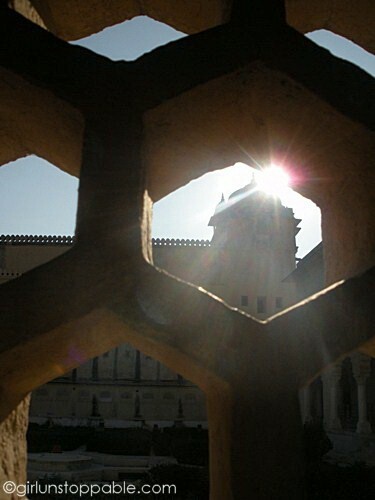 View of the Amber Fort courtyard. 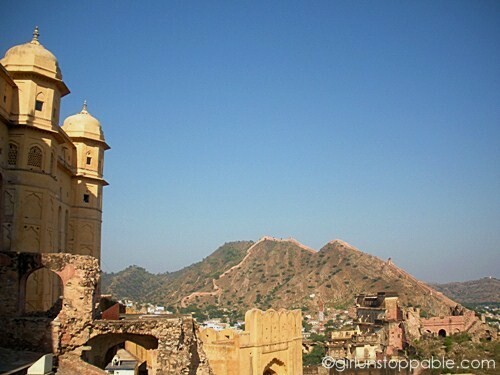 Overlooking the town and an old temple next to the Amber Fort. The detail is unreal. The mosaic pictured and the entrance are amazing. 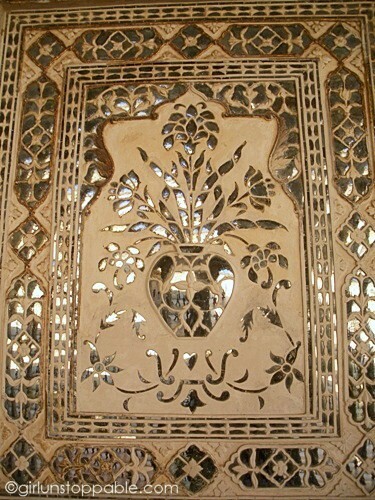 I wish I’d gotten a better shot of the mosaic mirror part of the palace, because it was more than just a wall, a whole “hall” was covered with the mirror tiles! A lot of it was sectioned off at the time and there were men doing some restoration work on it. 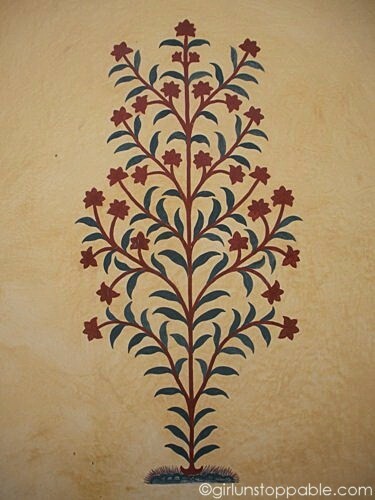 Everything is so ornate!! What a crazy, incredible place that must be. It is pretty incredible and I think these pictures don’t quite do it justice! 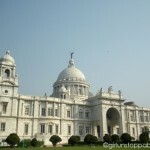 If you’re planning to head over to India while you’re in Asia, I definitely recommend checking this out. Wow, beautiful architecture and an amazing view too! Your photos look amazing, Ekua! 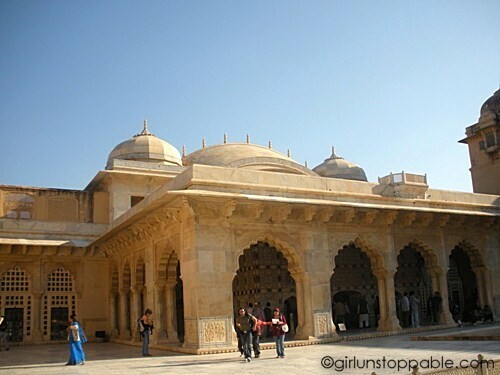 The Amber Palace is stunning. 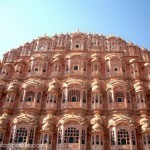 Now I wish I’d had the time to visit Jaipur. 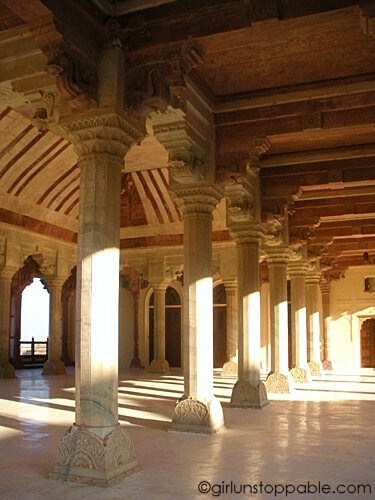 Thanks… and your posts are making me wish I had time to visit the desert when I was in Rajasthan! Ekua ! Hi there. 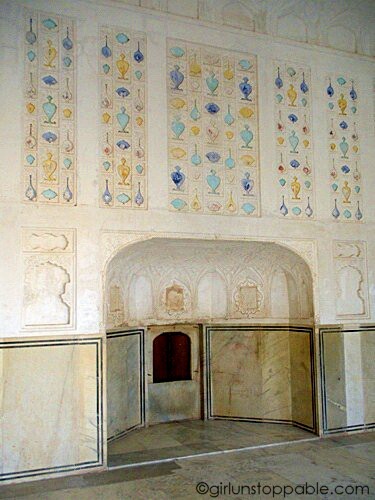 You wont believe it.When I visited the Amber Fort in Jaipur, I took exactly the same picture as you of the mirrored mosaic in the palace hall ! Wow. 🙂 Your pictures are really nice.